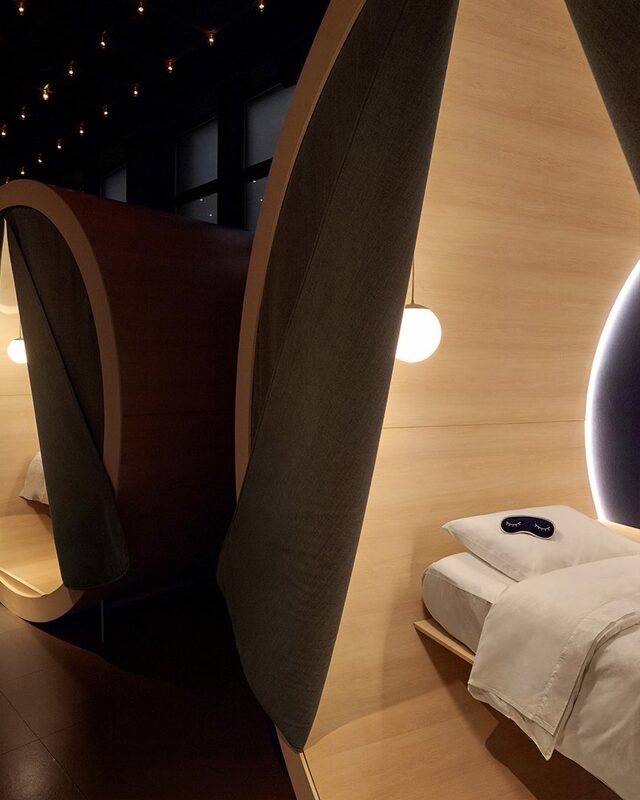 Mattress startup Casper has opened a space where New Yorkers can relax and refresh, and even sleep for a short while in tubular wooden pods. 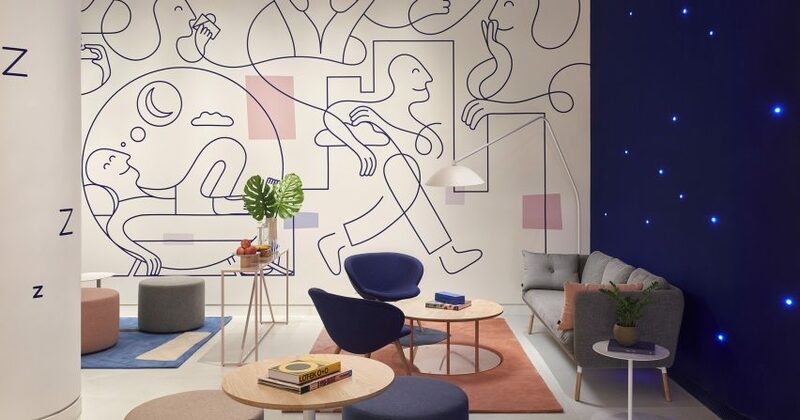 Located in Manhattan's Soho neighbourhood, adjoining Casper's main retail shop that opened earlier this year, The Dreamery was designed by the brand's in-house team in collaboration with architecture firm Hollwich Kushner. It was created as a place for visitors to rest and freshen up, "bringing better sleep to more people and to more places," according to the brand. Inside is a bright lounge area with a separate, darker room for napping. Users can reserve 45 minutes of rest time for $25 (£19), which can be booked on Casper's website, via ClassPass or Mindbody, or simply walking in. "Noticing that everyone was downing green juice and wearing fitness trackers — but falling asleep at their desks — Casper set out to champion sleep as an essential pillar of wellness," said a statement from the brand. 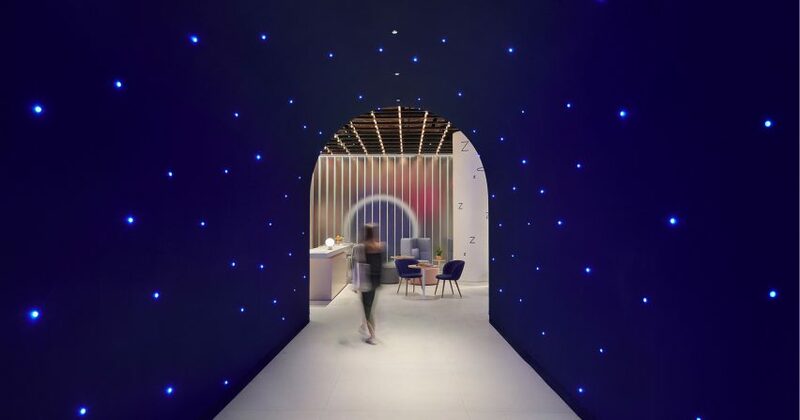 A dark blue archway with lights resembles a starry night, while a much brighter lounge has white floors and walls and a series of seating areas. 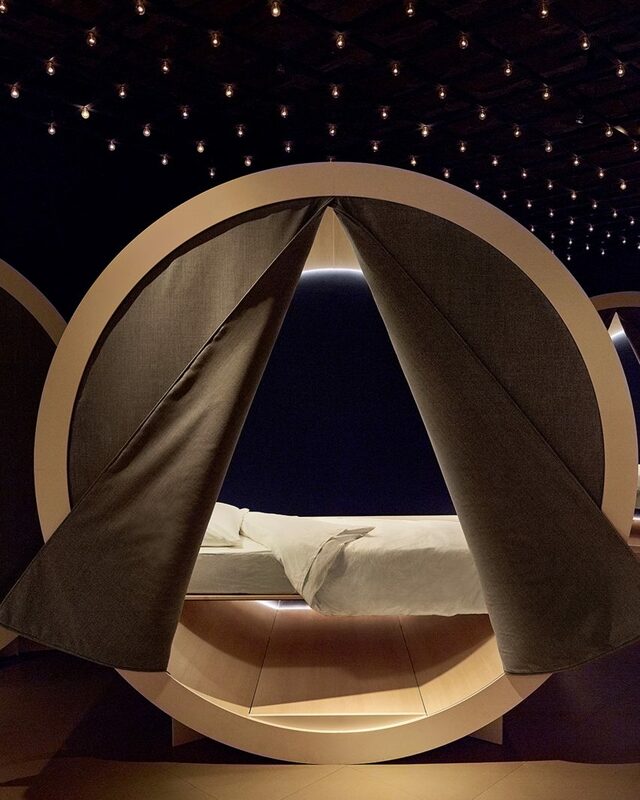 Sleeping pods are housed in a separate dimly lit room. A set of cylindrical wooden vaults serve as private nooks, with grey curtains to close them off while in-use. Inside each wooden volume is a Casper twin-sized mattress, as well as linens and pillows by the brand. "The Dreamery is about making sleep and rest a part of our regular wellness routines — similar to how many people prioritize a workout class,” said Neil Parikh, co-founder and COO at Casper. Behind these sleeping pods are windows, which have been covered in a black material to virtually mask daylight. 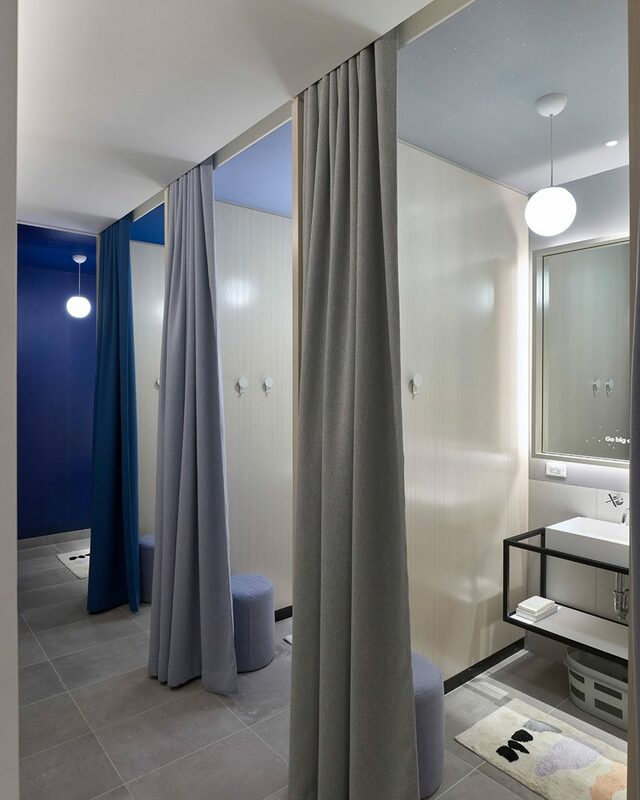 Private wash and changing stations are also provided in a separate area with sinks, storage bins and mirrors. Included in the experience are constellation-print pyjamas and cleansing amenities, yet there is no mention of how laundering services work. Launched in 2014, Casper has become one of the biggest disruptors in the mattress industry in the US, with a foam mattress that is shipped in an easy-to-handle rectangular box. The start-up focuses on innovation and frequently launches new sleep-related products, ranging from bed frames to travel-sized pillows. "The [store's] concept enables us to pilot new ways of bringing better sleep to more people and to more places – whether that's here, the workplace, airports, or beyond," said Parikh. Earlier in the year, the brand opened its first store, featuring small A-frame house designs where customers could test its mattresses. The Dreamery is located at 196 Mercer Street, between Houston and Bleecker streets in New York City. Plans for the Casper store also involve hosting public events regarding wellness and sleep. 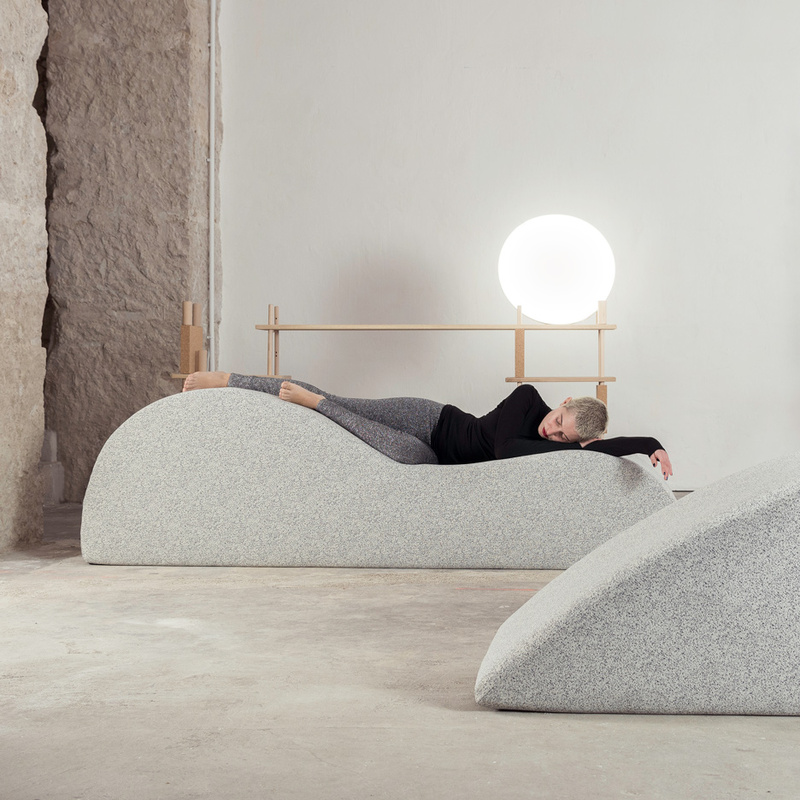 Other nap-bar designs include a room in Dubai with oversized curvy cushions by Smarin, and a pop-up "sleeperie" in London with red hammocks by Hassell and Draisci Studio. The [store's] concept enables us to pilot new ways of bringing better sleep to more people and to more places – whether that's here, the workplace, airports, or beyond," said Parikh.